German artist Sybille Paulsen found a way for cancer sufferers to hold onto their beloved locks. She made jewelry out of it. Each piece is different, and can thus take several days to a few weeks to complete. Paulsen works closely with each woman who commissions her in order to create a piece of jewelry that truly captures her essence. She’s also happy to make pieces for family and friends in order to help strengthen the bond between loved ones during this difficult time. It is important to Paulsen to connect with the women for whom she creates these pieces. Here is a brief account of her experience with Mary Beth, her first client. They met on one of the first days of spring in Berlin, and Paulsen said they “clicked immediately.” Mary Beth is a development helper who worked in Afghanistan. She also has breast cancer, and was intent on cutting off all her hair before she started losing it to chemo. 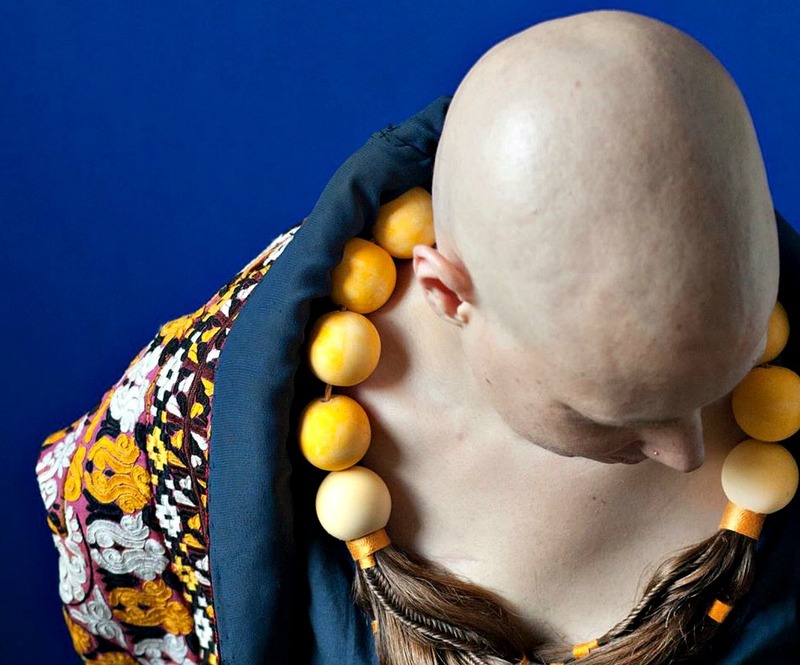 However, rather than feeling sad at the impending loss, she said she looked at it as a sort of rite of passage into adulthood, which is perhaps one of the most moving responses to cancer-related hair loss I’ve ever heard. Needless to say, Paulsen was deeply inspired by Mary Beth and made it her mission to capture her essence in the piece. She treats the hair with great love and patience because, “a lot of love and patience went into growing this hair and a lot of identity is connected to it.” Here’s the beautiful end result. Mary Beth was extremely moved by the finished product, and was surprised by how connected she could still feel to her hair now that it was off her head. That, in essence, is Paulsen’s mission with these pieces — to show those touched by cancer that sickness does not (and should not) have to be seen as ugly. There is great beauty in all transformations; you just have to be open enough to find it.